Learn to create your own with the Create Reference Data wiki page. Note: Softimage|XSI is no longer available other than on modDB. I recommend only learning XSI enough to export your models to mesh. Know that you can use ANY modeling program to create your mesh. Be it 3DSMax, Lightwave, Maya, Blender, etc. etc. However to make it ready for import into sins you must finish it in XSI. This is mainly because of the tangents, and the way XSI assigns materials to the mesh. Which means your modeling program must be able to export into a format XSI can import. .Obj is a good choice. If that fails then Direct X format will work as well. I have had bad luck importing .3ds into XSI. The mesh becomes corrupt, and I don't know why. 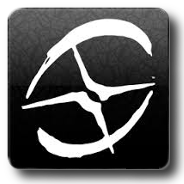 Autodesk Softimage Mod Tool software (formerly XSI Mod Tool) is a free 3D modeling and animation package for creating non-commercial games and "modding" (modifying games). 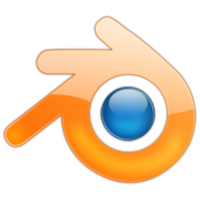 Autodesk Softimage Mod Tool 7.5 is based on the same professional toolset found in Autodesk Softimage 7.5 software, used by game developers (including Ironclad) to create 3D models, levels, props, and animation. Free for Non-commercial Game Creation and Modding. The mod tool does not allow use of some options. The default project load was a real pain, so I set it to do it manually with xsi project path [comma, space] project name. I deleted all the other project references. How to preview your model in Sins? Is my model too small or big? My model flies sideways or backwards? My textures are not showing up? There are 3 main sections that need to be transferred between XSI and Blender. OBJ can be easily import or export to and from multiple programs. OBJ files will transfer the model, 1 UV map, and 1 diffuse material. FBX is another common format that both XSI and Blender uses but the XSI version is outdated. Autodesk has FBX converters I used to successfully test exporting from FBX 6.0 in XSI, to FBX 7.0 import in Blender. This also imported the mesh points but flipped the scene. DAE or Collada imported the complete scene into blender with the file structure intact. Select COLLADA 1.4.1 from the File Type drop down list. The major difference between XSI and Blender are the rendering engines. XSI uses 'Mental Ray' and Blender uses 2 called 'Blender Render' and 'Cycles'. The workflow I use uses TGA textures in Blender, then I assemble the channels into .DDS using GIMP. Then connect the the new textures to the material is XSI, and export to .MESH. I've been doing some on and off modelling in XSI, with various results... Whilst not really related to Sins modding, you don't happen to have anything on Rendering? This needs to be pinned. Contact Kryo and see about getting this pinned! You have covered some great stuff hear, I'm sure many people would find this helpful. One thing that I found difficult, to start with, when modeling was how to do UV's. I still have some trouble getting some of the angles of some polygons that are at 45 degree's or so from any projection or subprojection. I haven't been able to find much info on how to do UV's. If you have any more info on this aspect of modeling, I, and I'm sure others in the community would be very greatful. 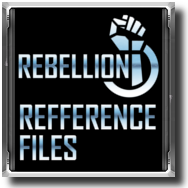 Tutorials moved to the official Sins of a Solar Empire Wiki. Well mate... I think I love ya, I've really been struggling to find XSI tutorials by and large, but here we go, thanks a dozen. Edit and create OGG sound files for Sins. Play Sins OGG files with Winamp. Note: The Channels are mono for event sounds and stereo for music tracks. Creating an event sound in stereo will cause Sins to play this over a single channel. GameInfo\SoundMusic A .txt document for viewing purposes only. This chart will allow a comparison between the different music types and when they are played. Thanks for putting all this info up. I've got a fairly dumb question; is it better to use Blender or the free version of Autodesk Softimage for creating ships etc? Or am I getting confused and the two packages are used for completely different modding tasks? You can use either to make the models. You must however use Softimage or SoftImage Mod Tool(free version) to export to .xsi format for the ConvertData.xsi to convert your model into .mesh which SoaSE uses. So if you create a model with Blender you will need to export it into a format that SoftImage can import, Import it into Softimage and then export it as .xsi following the instructions in the documentation folder of Forge tools. Curves saved as AI (Adobe Illustrator) files to be used for creating 3D text. See Importing EPS Files [Surface and Curve Modeling]. Audio Interchange File Format. Import audio as a reference when animating using the animation mixer. See Audio and Animation [Nonlinear Animation]. Audio Interchange Format—Compressed. Import audio as a reference when animating using the animation mixer. See Audio and Animation [Nonlinear Animation]. Import motion capture files in Acclaim (*.amc and *.asf) formats. See Importing Motion Capture Files [Character Animation]. Actions from SOFTIMAGE|3D animation files. See Importing and Exporting Action Sources [Nonlinear Animation]. Import (load) an AVI with audio into the animation mixer. 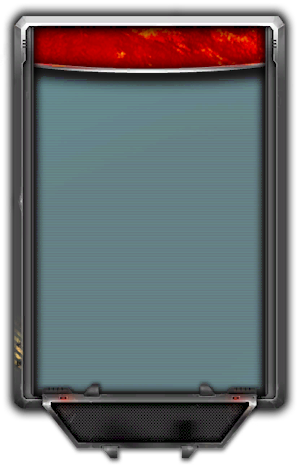 Only the sound is loaded and you can use it to adjust the timing of your animation. See Audio and Animation [Nonlinear Animation]. Export (output) rendered image sequences in the AVI (Audio Video Interleave) format. See Creating Movie Files (Windows Only) [Rendering]. Import motion capture files in the Biovision (*.bvh) format. See Importing Motion Capture Files [Character Animation]. Import and export scenes saved in the COLLADA file format (*.dae). See Importing and Exporting COLLADA Files. Softimage can load nVIDIA’s CgFX files (*.cgfx) from the CgFX realtime shader. CgFX files can be dragged and dropped onto objects and clusters and automatically generate property pages based on their content. The shader supports external file referencing as well as inlined code compilation for rapid prototyping. See Effects Shaders (.cgfx Files) [Realtime Shaders]. Softimage can load the DirectDraw Surface (*.dds) file format as an image clip on Windows only. Note that cubic surfaces are tiled horizontally when loaded. Import and export scenes saved in the DirectX format (*.x) which can contain data about meshes, textures, animation and so on. See Importing and Exporting DirectX Files. SOFTIMAGE|3D file format that contains information about a scene’s hierarchies, camera, lights, animation, and geometry. See Importing SOFTIMAGE|3D Scenes and Models. Softimage can load DirectX Effects files (*.fx) from the DXFX realtime shader. DirectX effects are high-level programs that allow you to combine a number of multi-pass vertex and pixel shading effects in a single file to produce sophisticated realtime-shading effects. For information about using .fx files in the render tree, see Effects Shaders (.fx Files) [Realtime Shaders]. Import and export external action sources saved in the native Softimage binary format (*.eani). See Importing and Exporting Action Sources [Nonlinear Animation]. File format used to import and export Softimage models. See Importing and Exporting Softimage Models. Curves saved as EPS (encapsulated PostScript) files to be used for creating 3D text. See Importing EPS Files [Surface and Curve Modeling]. You cannot open a binary .exp format expression file from SOFTIMAGE|3D directly. Instead, you import a scene or model with the expression in it. See SI|3D Expressions. Softimage expressions can be imported (loaded) and exported (saved) as .exp2 files. See Saving and Loading Expressions [Animation]. 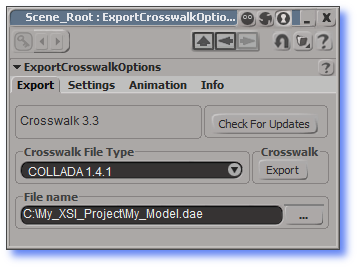 Crosswalk: The Softimage FBX plug-in allows you to import, export, and merge-back scene data using the FBX (*.fbx) file format. See Importing and Exporting FBX Files. SOFTIMAGE|3D function curves can be imported (loaded) and exported (saved) as .fraw files. See Saving and Loading Function Curves [Animation]. Softimage function curves can be imported (loaded) and exported (saved) as .fraw2 files. See Saving and Loading Function Curves [Animation]. Export Point Oven Messiah Scene files through the MDD Baker plug-in. See Importing and Exporting Point Oven MDD Files. SOFTIMAGE|3D file format that contains information about a scene’s objects and object hierarchies (known as SI3D models). See Importing SOFTIMAGE|3D Scenes and Models. ANSI graphics file format for wireframe model interchange. See Importing and Exporting IGES Files. SOFTIMAGE|3D keys (static poses) files. See Importing and Exporting Action Sources [Nonlinear Animation]. Import (load) and export (save) Point Oven Lightwave Object files. See Importing and Exporting Point Oven LWO Files. Export Point Oven Lightwave Scene files through the MDD Baker plug-in. See Importing and Exporting Point Oven MDD Files. Import (Reader) and export (Baker) Point Oven MDD files. See Importing and Exporting Point Oven MDD Files. You can export a scene to the mental images MI2 file format that can be read by the mental ray rendering software. For more information on mental ray rendering, See Exporting to MI2 Files [Rendering]. Import (load) an Apple® QuickTime MOV with audio into the animation mixer. Only the sound is loaded and you can use it to adjust the timing of your animation. See Audio and Animation [Nonlinear Animation]. Export (output) rendered image sequences in the MOV format. See Creating Movie Files (Windows Only) [Rendering]. Wavefront Object file format. See Importing and Exporting Wavefront OBJ Files. Edit properties in a property editor and save your settings as a preset. 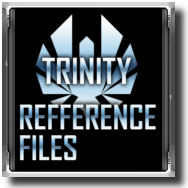 Presets are simple data files with a .preset file extension that contain property information. Presets allow you to transport information between scenes. See Creating Presets of Property Settings [Scene Elements]. Import and export the native Point Oven Scene file format. See Importing and Exporting With Point Oven. Import Adobe Photoshop PSD image files as image clip and source pairs. Modifications to the PSD file in Photoshop are reflected in Softimage. See Loading (Creating) Sources and Clips [Texturing]. In the Fx Tree, you can import and export PSD files using the File Input operator and the File Output operator respectively. See Setting File Input Properties and Rendering Effects to File [Compositing and Effects]. Cached simulation files. PTP files record the position and physical properties of each particle in the stream. The file sequence is written back each time you modify any parameter affecting the simulation. See Playing Particle-based Simulations [Particles]. Import (load) an Apple® QuickTime QT with audio into the animation mixer. Only the sound is loaded and you can use it to adjust the timing of your animation. See Audio and Animation [Nonlinear Animation]. Text can be imported and exported (saved) as an RTF (Rich Text Format) file. See Importing RTF Files and Saving RTF Files [Modeling and Deformation Basics]. Softimage scene file description uses binary code to efficiently store information about objects, textures, and animation. See Scenes. Softimage scene table of contents is an XML-based file that contains scene information. It has an extension of .scntoc with the same name and in the same folder as the corresponding scene file. The scene TOC can be opened and edited with any text editor or XML editor. See Getting and Setting Scene Data with the Scene TOC. Import (load) a Windows Waveform WAV with audio into the animation mixer. Only the sound is loaded and you can use it to adjust the timing of your animation. See Audio and Animation [Nonlinear Animation]. Crosswalk: Import and export an object, multiple–selected objects, or an entire scene in a single dotXSI (*.xsi) v.5 or v.6 file. See Using Crosswalk for Softimage. dotXSI v.3, v.3.5, v.3.6: Import and export an object, multiple–selected objects, or an entire scene in a single dotXSI (*.xsi) file. See Importing and Exporting dotXSI Files. Specialized scene data: Scene data can be stored externally using the dotXSI format. • Model referencing supports the dotXSI file format. See Using Referenced Models. • Material libraries can be stored externally. See Importing and Exporting Material Libraries [Material and Shader Basics]. • Action sources can be stored externally. See Importing and Exporting Action Sources [Nonlinear Animation]. Import and export the entire animation mixer for a model, making it easy to share animation between models. See Importing and Exporting the Animation Mixer [Nonlinear Animation]. So if you create a model with Blender you will need to export it into a format that SoftImage can import, Import it into Softimage and then export it as .xsi following the instructions in the documentation folder of Forge tools. Blender can directly export into .XSI. Great, thank's for the reply. All the help is greatly appreceated. I've downloaded Blender and the Softimage mod tool and am currently deciding which I prefer. Know that you can use ANY modeling program to create your mesh. Be it 3dsmax, Lightwave, Maya, Blender, etc. etc. However to make it ready for import into sins you must finish it in XSI. This is mainly because of the tangents, and the way XSI assigns materials to the mesh. Which means your modeling program must be able to export into a format XSI can import. .Obj is a good choice. If that fails then Direct X format will work as well. I have had bad luck importing .3ds into XSI. The mesh becomes corrupt, and i dont know why. You don't have permission to access /tut_graphics/amazing-starfield-paint-shop-pro-tutorial-step-02.gif on this server. MyFist0 you posted info from my tutorial that is now obsolete pre-Entrenchment info. I did correct it IIRC. As of Entrenchment Ironclad switched the specular, and team color channels on the textures. Supposedly to increase game performance. The Red Channel on the "-da" texture is now the Specular Map. EDIT: Doh! NM the info is there. You need to highlight it though so people can understand it.